Ecocamel manufactures shower heads with its unique AirCore Technology to not only provide a better shower, but also use less water (good for your domestic water bill, but particularly convenient when installed in a boat, caravan or motorhome), which makes make them more energy efficient, too. 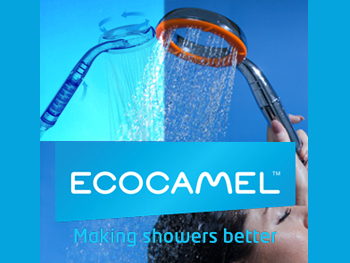 Ecocamel shower heads are now fitted by most new caravan and motorhome manufacturers in the UK. Ecocamel asked Rawlings Communications to generate coverage for its latest shower heads (including the world’s first shower head with an integral water softener - the Orbit SoftWater) with the specialist caravan and motorhome media and bloggers in the UK, and also across the pond in the USA. By generating and distributing a press release, and proactively arranging product reviews, we are very proud to have generated extensive print, online and social media coverage in the UK (e.g. Out&AboutLive.co.uk and Motorhome News) and in the USA (e.g. RV Daily Report).